What a LitRPG Should be! Sentenced to Troll is a masterful LitRPG. Having read dozens of books in the genre, it has become exceedingly rare that I find one that becomes an instant favorite. This is as close to perfect as I could ask for. With interesting and endearing characters, Artful world building, and a unique plot, this story bring it all together to tell one entertaining tale. The writing is polished, the pacing is superb, and it is apparent that this is an author who is excellent at his craft. 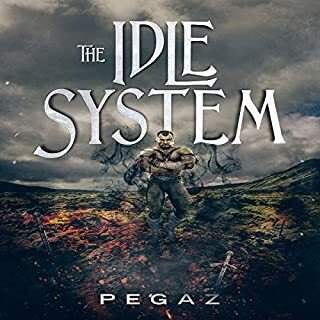 If you like LitRPGs that take place entirely in the game world, like the Chaos Seeds or Play to Live series than this book is not only for you, but be prepared to be pleasantly surprised with just how enjoyable this genre can be. Content Warning- This book contains mild violence and some language. within litrpg you can often find alot repeat it's self it's so nice to find something new and refreshing I really look forward to the rest of this series . 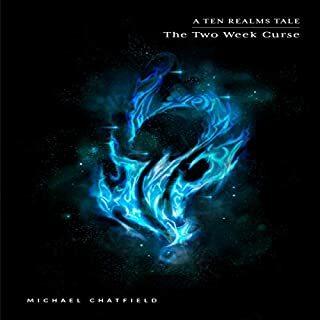 First I would say this isn't for everyone but if you have ever played a MMO, RPG, Dungeons & Dragon or even read a Choose Your Own Adventure (you make a decision and go to x page), love stats and game mechanics or compelling fantasy stories I would highly recommend this. It's a interesting idea to try and rehabilitate a troll who has undesirable negative emotionational episodes against other people when things aren't going their way and they are probably losing, especially when they believe someone else is to blame and immersing then in a fully VR game as a in game Troll (the most hated in game race). The story was fun and kept me entertained throughout. There was some very interesting game mechanics that I liked and I honestly cared about all the main characters. The narrator was spot on. I'm hoping there is a sequel or this because a trilogy. I wont say it's the best book I have ever read as it would be a lie but it is a good book it keeped me entertained from the start and it shows some true potential to be a great series. i believe the best description of the book would be as a gateway book in to the litrpg world of books. To Troll or Not to Troll!? Well, To Troll obviously, because this was a great listen!! My first experience of a LitRPG novel (at least I presume that’s what it is!?) and I loved it! A great adventure story in its own right even before Eric’s great performance is thrown in the mix. 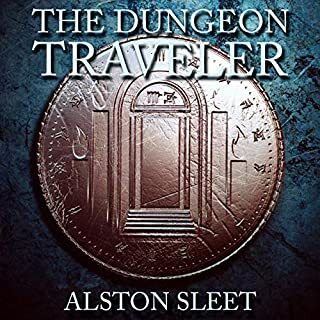 The story is filled to the brim with action and adventure and is just such an easy book to become absorbed in and I was thoroughly disappointed when it came to an end! I think as long as you enjoy fantasy, then no matter your age, you’ll enjoy this book! I Really Enjoyed this Adventure! The characters were likeable and the adventure engaging. The narrator made the story come to life and gave it a unique and enjoyable feel even when listing notifications. I really enjoyed the thought process of Chod and his growth. The book is enjoyable and brighten my day when listening. The only problem is I want to know more about the history of the Isle of mythos the parts shown were interesting and I can only wait patiently for more! Great story and characters. This is well worth a listen. Looking forward to book 2. Didn't want it to end! 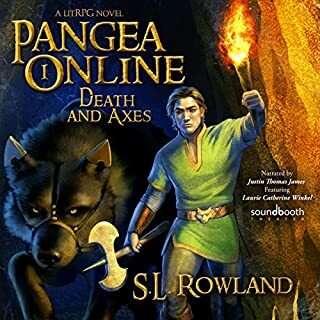 A very good audiobook, the narration is good, the author managed to get you emotionally involved, was wishing for an extra couple of hours but i can understand why it ended where it did. Without spoilers, prepare to troll smash. 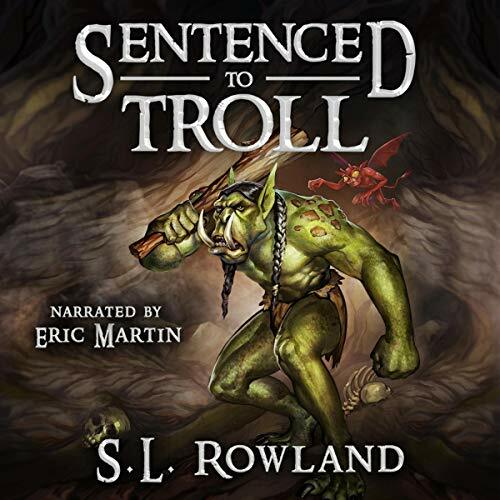 The idea of an online troll being sentenced to play as the unliked race in a new game was an interesting one, but the book didn't really use it for anything beyond getting the player into the game, right from the outset he was a likeable protagonist and only developed from there and his repeated behaviour in the real world was effectively hand-waved away as him basically being lonely and misunderstood rather than anything worse. Thankfully, this approach didn't detract from the story as both it and the main character developed quite quickly in an interesting manner, with it having the right balance for me of focusing more on the actual events over the game mechanics & stats. The narrator's performance was a good one that helped to increase my enjoyment of the book quite a bit, his tone suited the book and he was sufficiently distinctive with the various characters too. Overall, an enjoyable listen and I will be interested to hear more from this series in the future. One of the best LitRPG stories! I bought this audiobook on a whim because the blurb for the story sounded like it had a lot of potential to make for a super fun story and it really did live up to those expectations! The story was engaging from start to finish. 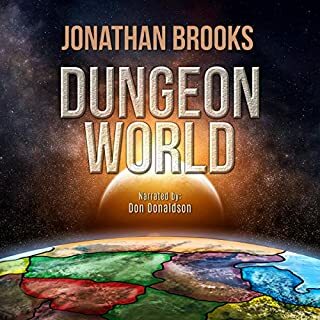 The world was a lot of fun, the lead character was one of the more likeable I've come across in LitRPG stories, and the plot was pretty enjoyable. It mixed action and adventure and was never dull. The best thing about the story was the main characters personal development. There was nothing preachy about his growth as a character. He was simply a guy who got the chance to grow more as a person due to having a shot at a different sort of life he found in the game world compared to the life he left in the real world. I loved how well done that aspect of the story was. The other good thing about this story was it did not get bogged down in those mindless stats that plague a lot of books in this genre. We got a few to track Chad's progress in the game but nothing that overwhelmed the story or hurt the flow of the action. This is the way it should be. 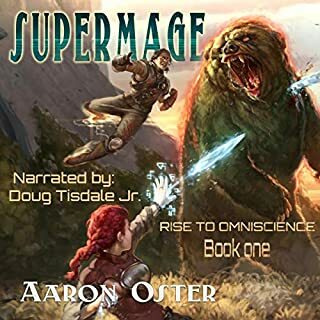 Most of the stat laden LitRPG's are just gaming the Kindle Unlimited system and it never translates well in the audio format! I felt like Eric Martin gave a great performance with the audio. His general narration was engaging and his character voices were good.